In an odd twist of fate, I thought I might share my latest story in search of the family of Theophilus and Martha France. I stumbled on this photograph when scanning the photos of my Great Great Grandmother. She married Herbert Coley, whose sister, Martha Ann, is shown above. 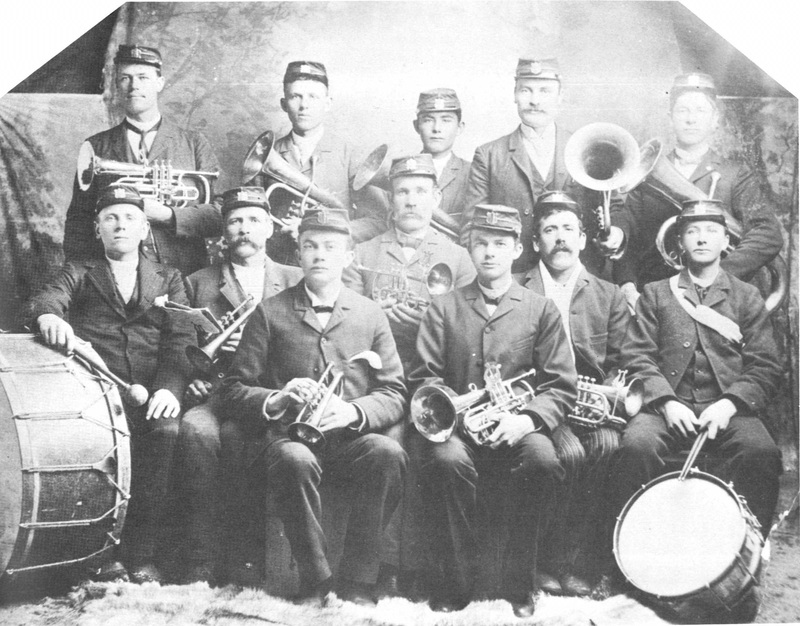 This photo was in the collection, likely from Martha France herself, to my Great Great Grandfather Herbert. The photo just had the two names written on the back of the photo. Since, I have tried to track down the family with little or no success. I will give some of the limited history I know at this point and then close with my latest little find. Theophilus was born 26 December 1863 in Dudley, Staffordshire, England. 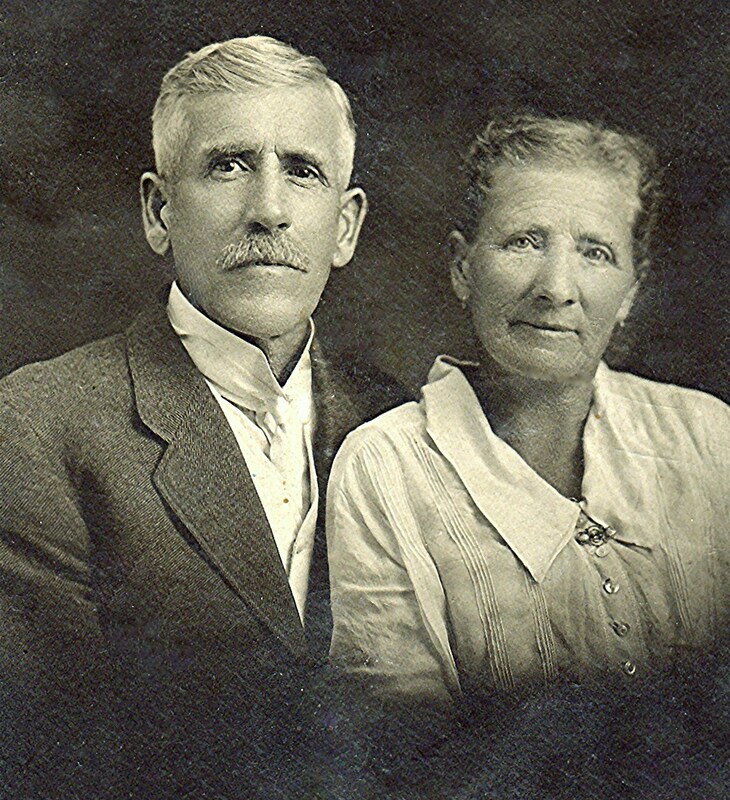 He married Martha Ann Coley 4 November 1891 in Logan, Cache, Utah in the Logan LDS Temple. Martha was born 18 August 1860 in Lutley, Worcestershire, England to Stephen and Hannah Maria Rogers Coley. Theophilus was a musician that took the family to various places chasing performing and music instructions. Mostly in Cache Valley, but also taking in a jaunt to Salina, Sevier, Utah. Born to the family were 5 children. Ada France born 1 April 1893 in Franklin, Franklin, Idaho and died 14 February 1957 in Caldwell, Canyon, Idaho. She married Henry James Flippence. Marguerite France born 19 October 1894 in Franklin and died 20 Mar 1936 in Logan. She married George Bright. Wilford France born 25 Mar 1897 in Lewiston, Cache, Utah and died 28 August 1986 in Los Angeles County, California. He married Elsie Arvilla Brown. John France born 22 May 1899 in Lewiston and died 18 June 1953 in Salt Lake City, Salt Lake, Utah. He married Meryln Burton. Beatrice France born 16 October 1901 in Lewiston and died 14 October 1997 in Salt Lake City. She married Robert Wallace Ekenstam. From the census records, it appears Martha may have had a son (maybe a brother) named Frank. He appears and then disappears. He may be a cousin who came over from England with Martha and then died, married, or just moved away. I cannot trace him down again, so this is one question I have always wanted to answer. But finding a member of this family has not proved easy. I knew Theophilus and Martha are buried in the Lewiston Cemetery. Her brother, George, and their parents, Stephen and Hannah, my Great Great Great Grandparents are also buried there. Theophilus died 30 October 1923 in Lewiston. Martha died 18 July 1949 in Parma, Canyon, Idaho. George Bright and Marguerite Coley had at least 8 children, but only one of them lived to marry. I knew her name was Gennevieve Bright and that she had married a man by the name of Elvon Monson Jensen 22 April 1947. He died in 1990 and trying to track down a lady Monson in Utah or Idaho, especially where she could have remarried, seemed an impossible task. I left it there and tried some of the other lines. In 2011, I was in my office and visiting with the wife of the other attorney from who I rent office space. I knew Kent was from Preston and in a lull of the conversation asked the name of Kent’s parents. She mentioned Elvon and Gennevieve. 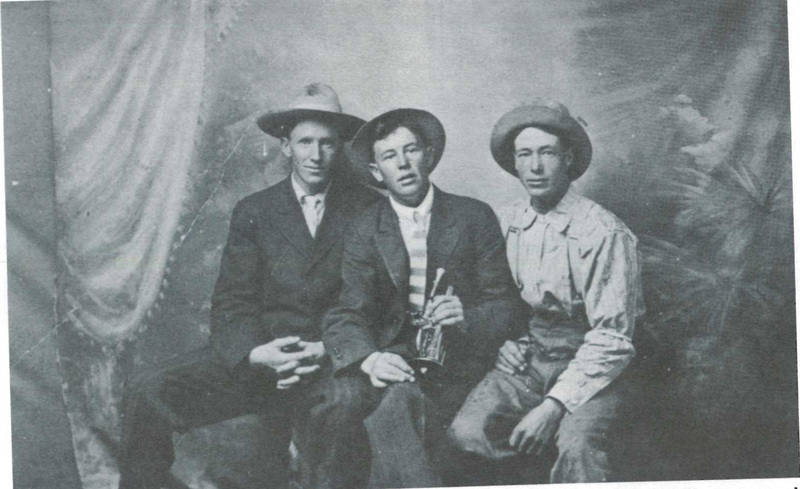 I could not tell where, but I knew that Elvon Jensen was in my family history. That night I looked him up and sure enough, there he was. I rent office space in Burley, Idaho from my 3rd cousin, once removed! Kent’s children are my 4th cousins. It was with some sweet satisfaction that I was able to provide a copy of the photograph of Theophilus and Martha above to him. He had not seen a picture of them before. I asked that he put me in contact with the member of his family who does the family history on the France/Coley line. Maybe I can help bridge some of the divide and flesh out more fully the Coley line in Utah and Idaho. The picture above of Theophilus and Martha was scanned in 2006. Who knew that I would be providing a photo of ancestors to a line who did not have a photograph. Maybe there will be more such stories in the future with all the photos I have and continue to make available. We can only hope. 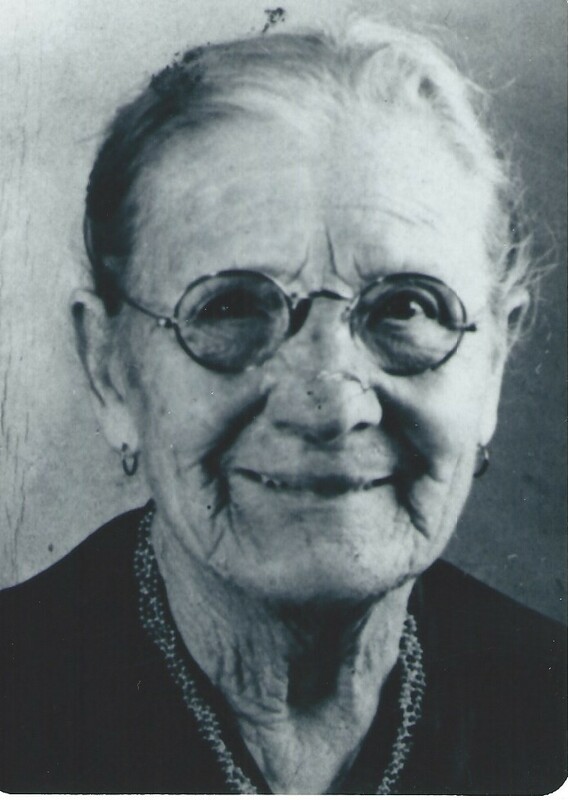 Here is a photo of Martha later in life, I don’t know how old she was at the time. Well, I just put out a whole philosophical e-mail and thought I would take a moment to do an actual update on life. I am sitting here listening to Prairie Home Companion enjoying a few good laughts. Earlier I listened to Die Frau Ohne Schatten (The woman without a shadow) by Richard Strauss. It was fascinating to listen to. Made me want to learn my German. Funny how music can take us other places. I have just finished my second week at Bank of America. Things are going very well. I am learning many more things about mortgages and all the documentations that attend. The lessons mostly center around learning the DOS-based system they use for processing all these loans. I have to admit it is a very detailed system that handles thousands of people working on it at all times with large amounts of information. Impressive as that it, they tell us it has only gone down once in the last 10 years! They have replaced one or two systems with Windows applications and they crash regularly so they are not in any rush to be replacing the old DOS-based system. Therefore, I have to learn the codes and names to navigate the system to check and update information. They teach us how to check the documents and how to put it into the system. We were done covering the documents within the first week. I have found out the position I will be in is basically an assistant underwriter. It has a whole host of names, but currently it is Home Servicing Specialist (HSS). Last Saturday and Sunday we had Stake Conference. I think it was the most powerful Stake Conference I have ever been to. I have been to some very good ones. Two were in the Logan Tabernacle (one for the Logan University 4th Stake the other for the Logan University 5th Stake), another in the Springfield Missouri South Stake Center, and the last I can think of was a Stake Conference for the Chester Stake in Wrexham, Wales. The most impressive part in Missouri was the music and the unity I felt within the congregation. The Chester Stake was powerful for the fact of some amazing talks given, one particularly by our mission president. The one for the 5th Stake at USU was that it was basically turned into a stake testimony meeting. That in and of itself changed the tenor of the meeting but all were invited by name by the Stake Presidency. The last one for the 4th Stake, I can think of two conferences in particular. One had Elder Burton, the Presiding Bishop and the other was all the Presidency’s remarks. President Cherrington usually gave a great talk at all conferences. So this conference is in good company. It wasn’t the first conference I have been to with an apostle, but this one had an apostle acted as we expect them to. Elder Holland gave some powerful comments. In Priesthood he taught us about Satan binding our tongues, the difference between lips and hearts, and the difference between forms of power and the real thing. He basically told us we are doing too many things without our hearts and without conviction. Time to step up to act in the name of the priesthood like we are expected to do. In Saturday evening, we were taught how we live in a broken world. Whether you like it or not, things are not perfect. He taught us about the Atonement and how all broken things will be restored to their proper order at the right time. Then he pounded out the importance of not whining, not complaining, and going forward in our lives with faith. He was very direct in those who complain or say something is wrong in life. He said nobody has the right to complain or wallow in the misery when the Savior took care of them for us. Time to walk in faith, get up, and be about doing good. The Sunday session proved to be just as good. He spoke about his personal experiences of President Hinckley and his prophetic calling. It was fascinating to learn more about the personal life of a prophet. He spoke to us about the importance of the gospel and the role of the church. Again, the topic had to do with looking beyond ourselves and seeing the big picture. He ended with the importance and the role of the Holy Ghost. How as latter day saints we live below our privileges and don’t claim the rights that are ours. We do not appreciate what has been given to us and need to wake up. Even though I have heard similar talks, the basic point is the power by which he spoke, namely the Spirit of God. It literally took the message directly to my heart. I noticed at a couple of points how my bosom literally trembled at what it was he was speaking. I recognize the power which he conveyed. In other news, we have been looking for a second car. With Amanda needing to travel long distances for school this fall, it isn’t going to work to have one car. So we are looking for a nice little car under $5,000. So far it has been a miserable failure. There are very few cars that are below that limit and what we are finding feel like questionable deals. We went to look at a little Audi A4 for $4,700 and he sold the car at noon. So we took a little Passat for a drive that he said he would sell to us for $4,000. It only has 103,000 miles on it. We took it for a test drive and something about the transmission raised all sorts of red flags for me. We will have to see if something else pops up. I may be too picky. I don’t want a car that smells of smoke or animals. I would like one which runs well. I would like one that isn’t completely ugly, like a stationwagon. Most people take such bad care of cars. Many have rips in the seats, big marks in the doors or dash, and more. I keep waiting for someone to give us one so we don’t have to take on a little more debt, but that probably won’t happen soon. We will have to keep you updated. Well, I believe that is enough of an update for now.